Kay Parsons didn’t wait for me to find my way to her front door. At the sound of my car pulling in, she charged up the walk and met me at her garden gate, a shy smile on her face. “Oh, the garden looks awful in the winter,” she said, as I commented on its beauty. “It’s really a high summer garden.” But the bones were all there, full of promise. Cup in hand, Parsons led me upstairs to her studio, a light-filled, cozy loft. She explained that her art was really about her garden—about growing things. I asked if she was a landscape designer and she demurred, “I have landscape enthusiasm!” Her work reflects that. 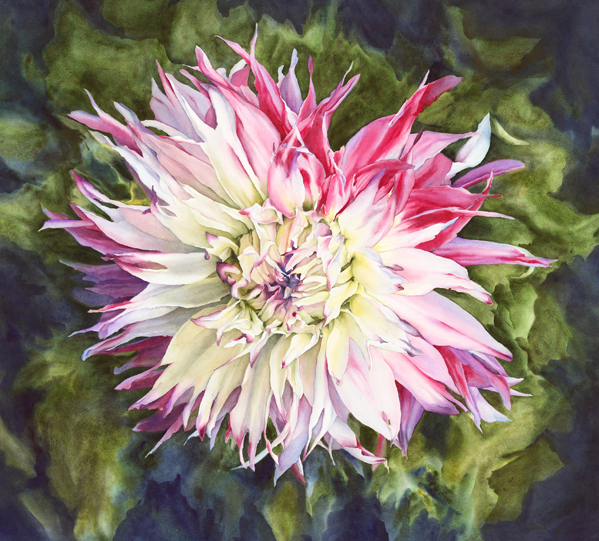 Her sumptuous watercolors of peonies, dahlias and, most recently, cabbages are enormous, colorful, textured and lush. 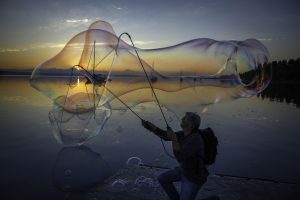 Then she took the covering off her latest creation—a huge ornamental cabbage. “I really like the texture on the paper,” she said, as we both bent down for a closer look. “See that?” The intricate colors danced, ready to push off the paper. Parsons has always been growing things. She was born in South Korea and was adopted, as a young child, to parents who lived in the South. She spent her childhood in Georgia and Alabama. She is a guiding force of the Whidbey Working Artists Studio Tour and is very excited about this weekend’s spring event, Friday-Sunday, March 7-9. Parsons will be participating in WWA’s tour from the Pacific Northwest Art School in Coupeville. “I wait until the Summer Tour to open up the studio,” she said. 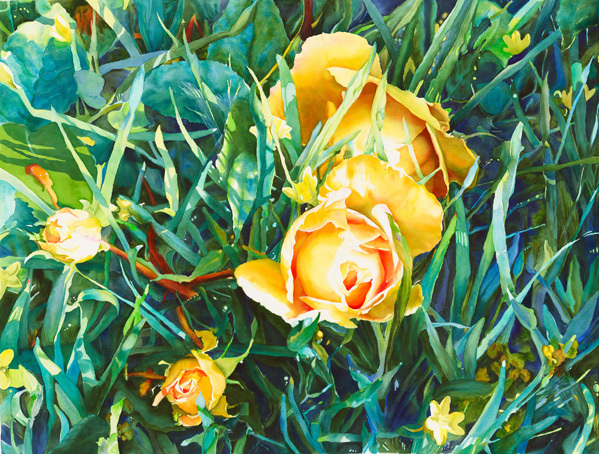 Kay’s paintings are featured in our Virtual Gallery show this month. 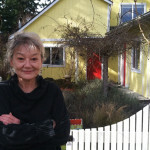 Visit the website for Whidbey Working Artists Studio Tour to get a Tour brochure. Penny Webb is a writer, mother, gardener and musician. She is currently working on getting her kids to bed.